This area involves routine auditing of any premise (from cafes, restaurants to market stalls and public functions) where foods are prepared and/or made for sale to the public. These food premises must meet the requirements of the Health (Food Hygiene) Regulations and the Councils Local Health Laws. 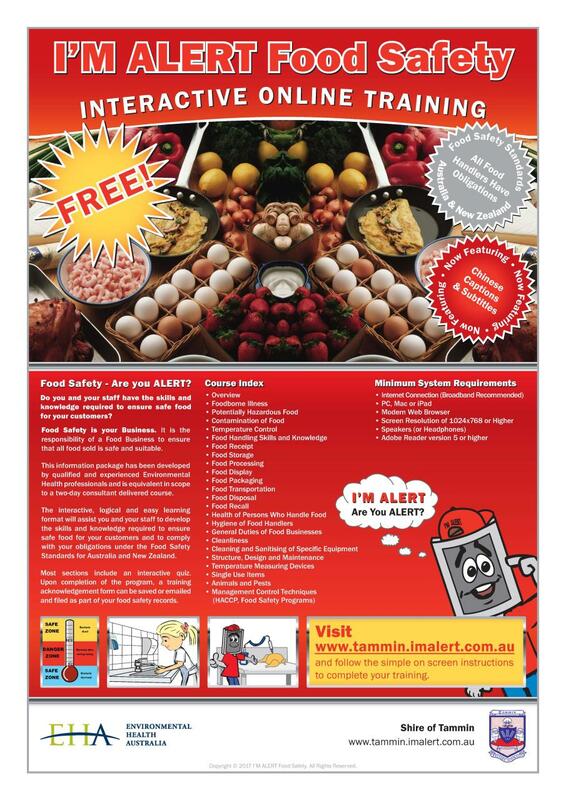 Food sampling is routinely conducted to ensure that all manufactured foods comply with prescribed food standards. All food premises including food vehicles are licensed annually by Environmental Health Services. 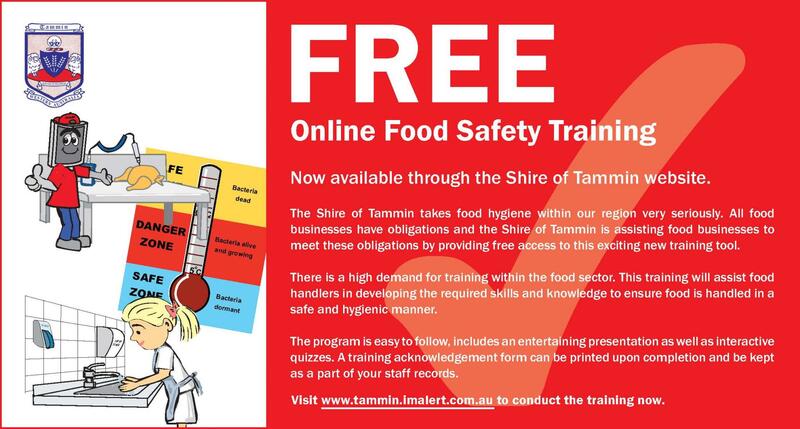 Is a FREE Online Food Safety Training Program that provides basic information about food safety and hygiene to food handlers.